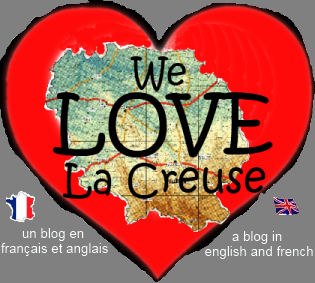 23500 raisons pourquoi we love La Creuse: Have either of you two got choux? Have either of you two got choux? One of the reasons we moved to France was to slow down the pace of life. This has happened, and is evidenced by our taking a trip through winding country roads 15 km to the beautiful village of Magnet l'etrange for the purpose of enjoying the Fete du Chou (cabbage festival). Mock all you want, but as fans of the cabbage, we were quite looking forward to it, and the poster looked pretty good. Apparently, the marquis of L'Etrange came to Magnet and brought his cabbages with him. They are apparently unique and very large. Unfortunately there were a disappointingly small number of cabbages on display (none), although there were plants of the infamous variety available to purchase. There were plenty of stalls selling plants, a stage for live music (not playing when we were there), beer stalls (but we are giving our livers a well earned rest at the moment) and they were serving lunch (buvette) but certainly not anything suitable for a vegetarian. But not one cabbage available to eat, or admire so we left after an hour or so. We did fancy that soon after we left, the cabbage parade marched through the village - people dressed as cabbages, cabbage jugglers, people riding giant cabbages, etc..